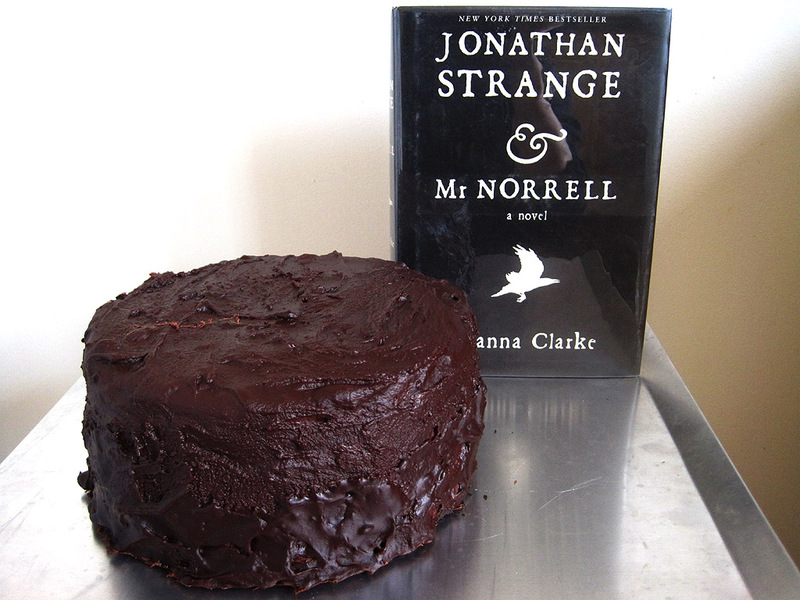 Today we celebrate Susanna Clarke’s Jonathan Strange and Mr. Norrell (2004), a fantastical alternate history of gentlemen and magic, and an utmost obsession of Kakaner and Emera. We decided to honor this richly wrought tale of fairies, otherworlds, and scholarly magic with an appropriately dense and complex confection filled with all sorts of surprises. At the top we have a savory English breakfast cake creation, infused with earl grey tea and spiced with black pepper and sage, inspired by the setting and gentlemanly characters of the novel. Digging deeper, we spill into layers of thick blackberry syrup, chocolate ice cream, and intensely dark chocolate cheesecake beneath. The flavors become stronger and thicker towards the bottom, much like how the magic epic unfolds before you as you make your way through the book. The dark, almost bitter chocolate ganache covering is representative of the encompassing flurry of dark magic, and an homage to the Raven King. Other inspirational images were dark forests, fairies, thick tomes of magic, and the backdrop of 19th-century England. 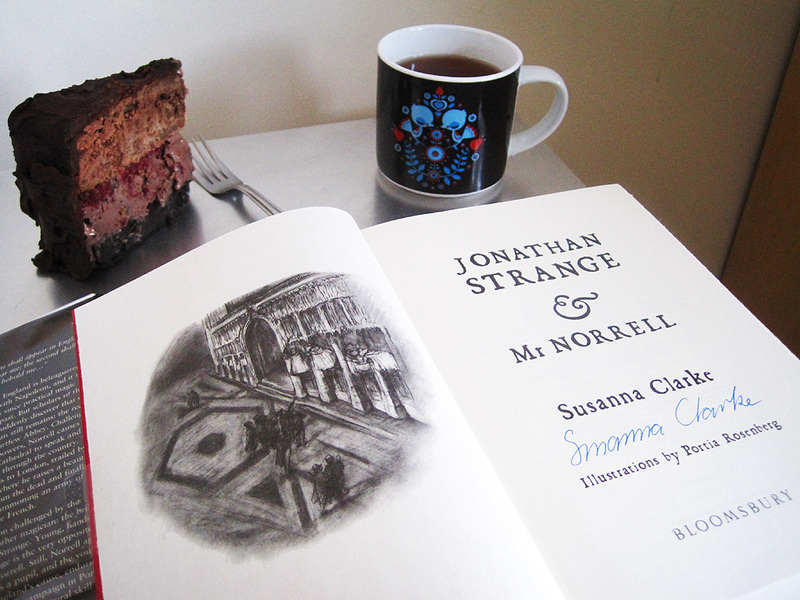 These photographs showcase my signed 1st edition copy of Jonathan Strange and Mr. Norrell obtained from Books of Wonder, which I have brought out for this rare occasion. Perhaps baking this cake for yourself will encourage you to tackle this book for the first time, or even a second. Enjoy! Normally I can tear through 500 or so pages in a few days. But that book is slow going, 5 weeks over winter break and I only got to page 500 or so. Oddly enough, this actually adds to it’s appeal, it’s such a clever book it paces itself to make sure you stay in it’s world for as long as possible. I left that book on my nightstand, bring books this good to college is a bad idea for me. It ends in fan-art, tears, and all-nighters at a lightbox. It ends in fan-art, tears, and all-nighters at a lightbox. Anda, you’re the best. :P 100% TRUTH. Also, I expect a slice of this cake. In my tummy. Now. Also, like JS&MN, this cake is freaking enormous. Wow. 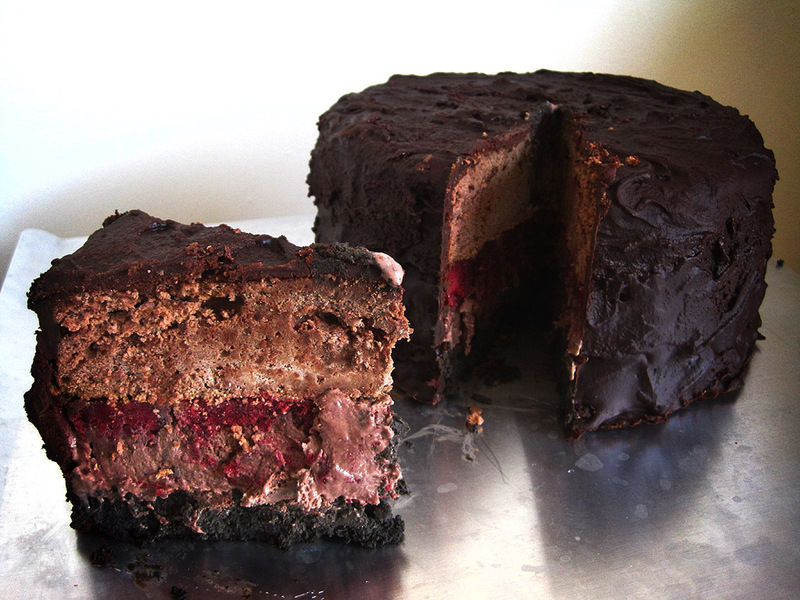 I think that cake qualifies as Death by Chocolate. Andy – Only way to go, in my opinion.